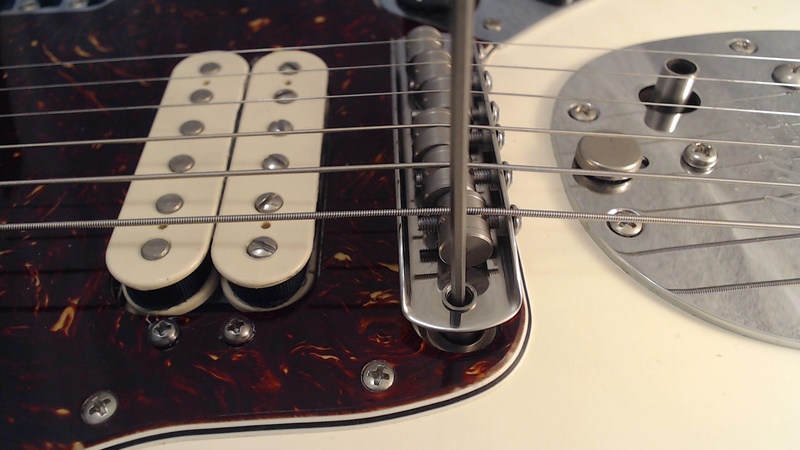 Although there is no individual height adjustment of the saddles on the Staytrem bridge or Bass VI bridge the overall height needs to be set to obtain the correct 'action' when it is first installed . The action is the distance between the strings and fretboard. If the strings are too close to the fretboard they will buzz, too far away and the guitar will be difficult to play properly. The bridge height can be adjusted by turning the supporting screws. These can be accessed by inserting the supplied Allen key into the holes at each end of the bridge base plate, turning clockwise to raise the bridge and anti-clockwise to lower the bridge. Grip the plastic disc carefully with long nose pliers, as shown below, and turn the adjusting screw a little clockwise, this should re-tension it. 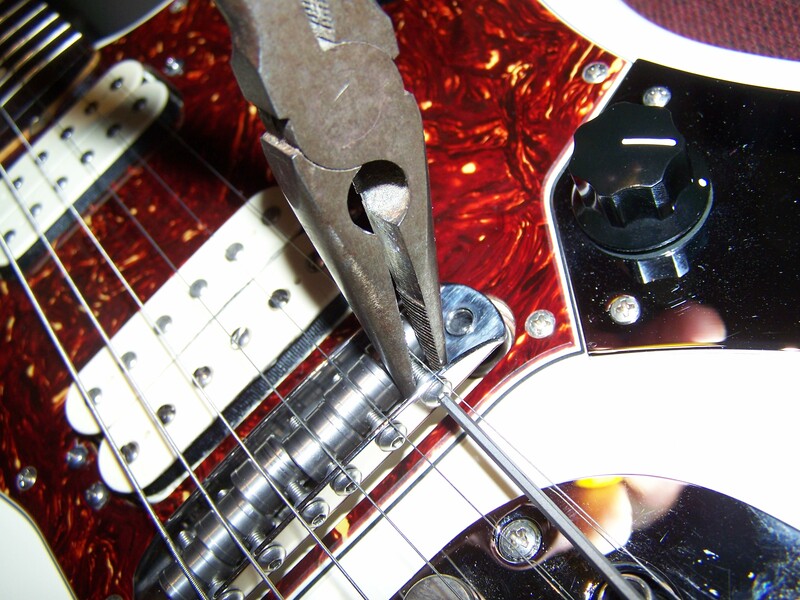 If the gap between the saddle and bridge channel is too small to insert the pliers you may need to move it forwards. Once tightened you can move the saddle back to its previous position.